Fermented Living Probiotic Rich Foods, including Plain Sauerkraut, Ginger and Turmeric Pink Sauerkraut, Apple Carrot Sauerkraut, Beets with Ginger, Sichuan Carrots, Garlic Pickles, Hot Sauce, Spicy Kimchi, Garlic and Seasonal Items like Tomato Pickles, Lemons, Salsa, Dilly Beans, and more. Seasonings include Garlic Salt, Jalapeno Salt, Lemon All and Kraut Flour. 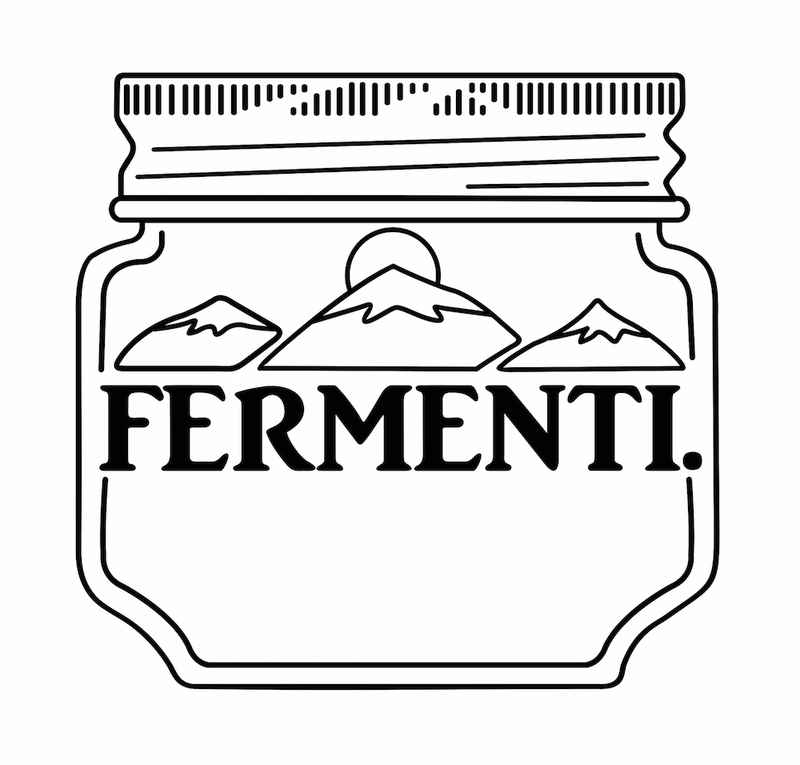 Fermentation Kits and Fermenti merchandise (Hats, T-shirts and bags). We grow our own produce for seasonal products and a percentage of our main line products. We source from other local farms as much as possible. We are the fermenting ambassadors for Sow True Seed and grow their seed exclusively on our farm. We also use Selina Naturally Celtic Sea Salt, which is a Woman Owned local salt company.